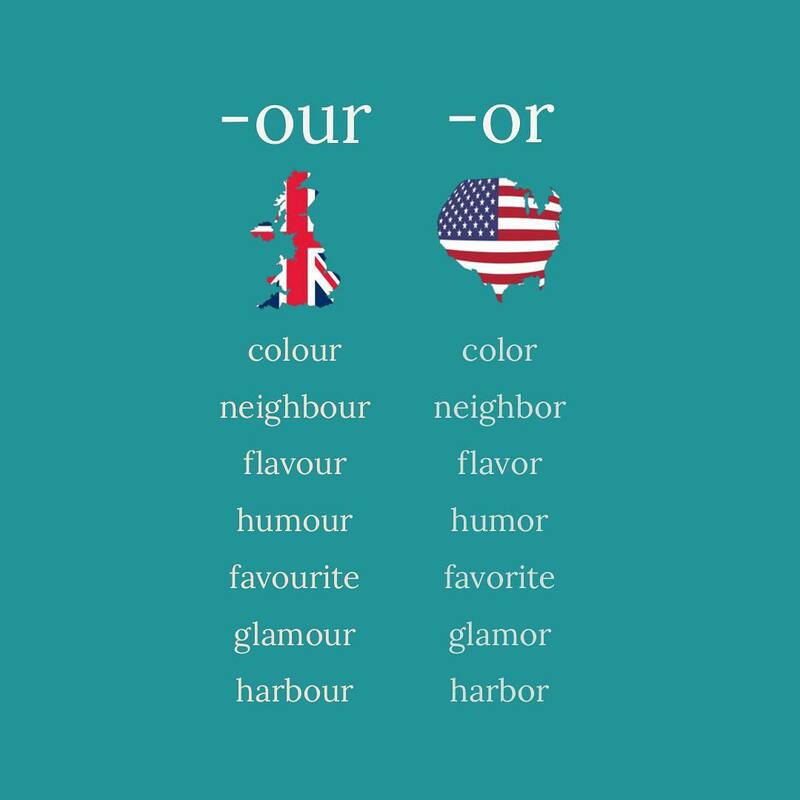 Here are some of the important differences between British and American English. British English, the standard way of writing words might include either the letter O or the letters ou. ex. colour, humour, honour, behaviour. American English use only o.
ex. color, humor, honor, behavior. 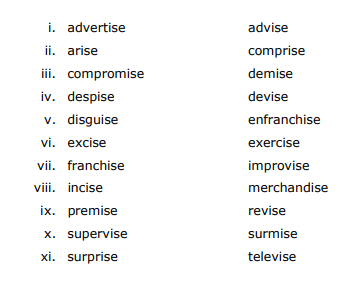 In British English hyphens used to connect prefix with the main word. In American English it is less common. In British English s is used in such words as recognise, authorise, analyse, paralyse. In American English z is used in such words as recognize, authorize, analyze, paralyze. 5. 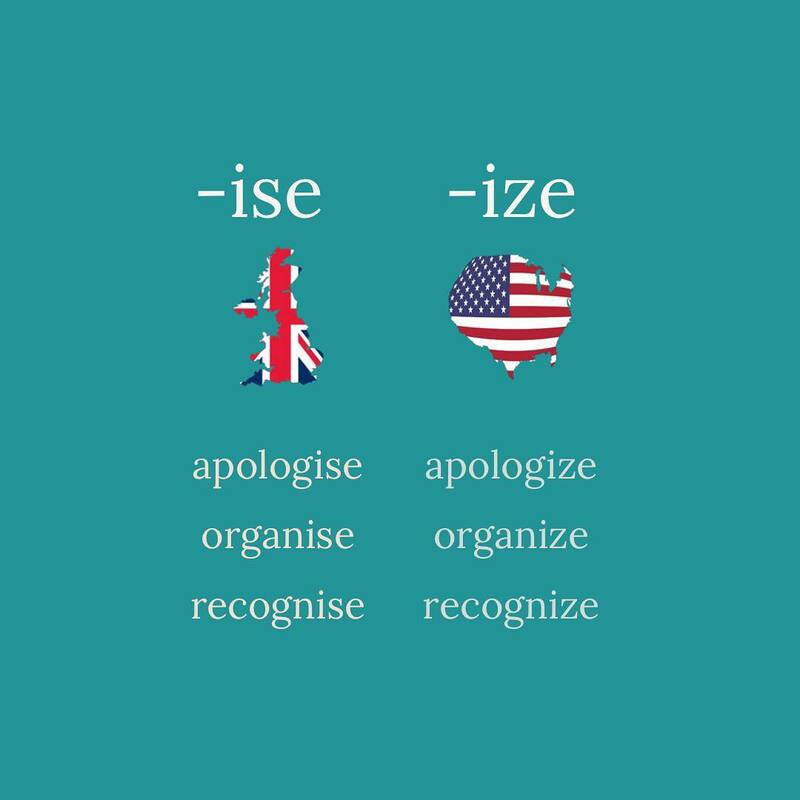 These words are always end in -ise whether you are using British or American English. British English LL is used. American English L is used. In British English, the final silent -e or -ue is retained in such words as analogue, axe and catalogue. In American English, it is omitted: analog, ax, and catalog. The silent e, produced when forming some adjectives with a suffix is generally used in British English in such words as likeable, unshakeable, and ageing. In American English, it is generally left out: likable, unshakable, and aging. The e is however sometimes used in American English where it affects the sound of the preceding consonant: traceable or manageable. 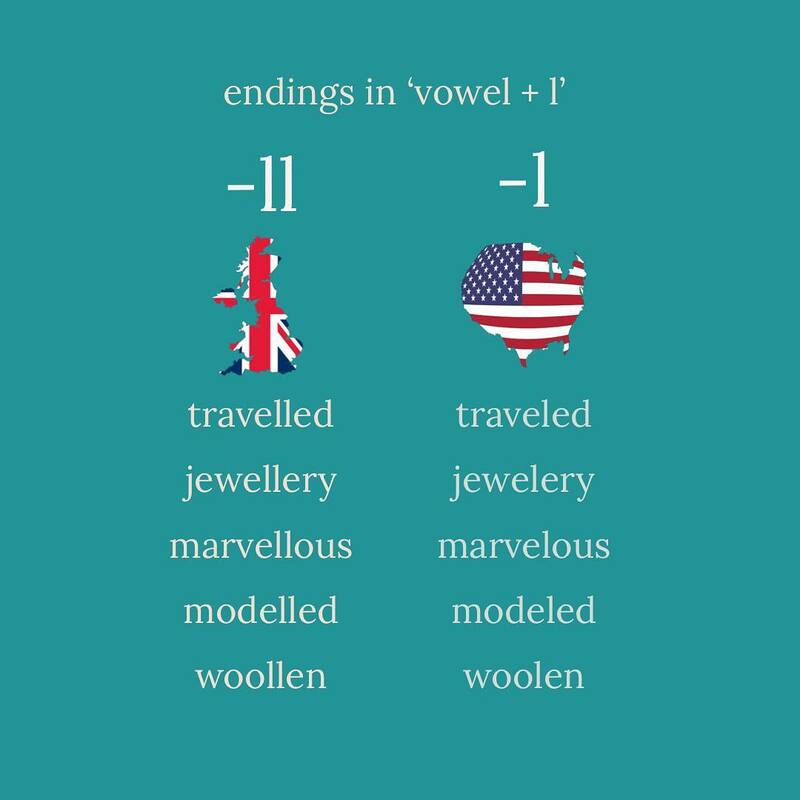 In British English the verb that relates to a noun ending in -ce is sometimes given the ending -se. For example, advice (noun) / advise (verb), device/devise, licence/license, practice/practise. 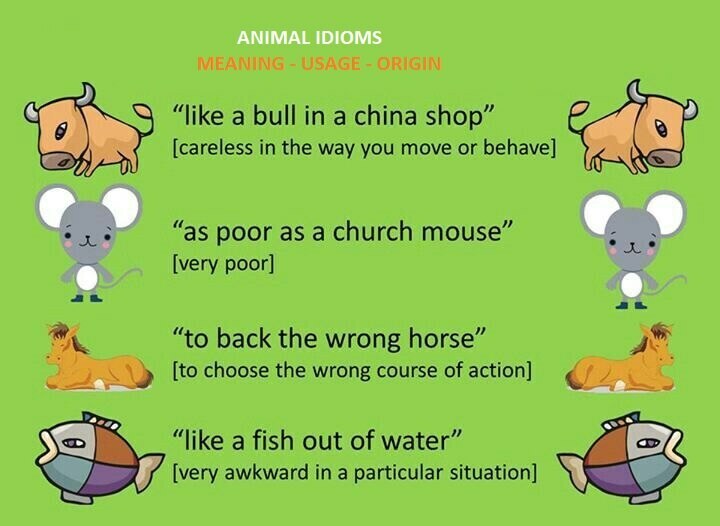 American English uses -se for both the noun and verb forms of these words. It also uses -se for other nouns which in British English are spelt -ce, including defense, offense, pretense. In American English, it is acceptable to omit prepositions in certain situations. In British English, this habit is less common. For example, an American lawyer might find a certain clause in a contract to be ‘likely enforceable’. A British colleague would be more likely to say that it was ‘likely to be enforceable’. An American civil rights activist might ‘protest discrimination’, while his British colleagues would ‘protest against discrimination’. In American English it is quite acceptable to use the word got without have in sentences like ‘I got two tickets for the show tonight’. In British English, it is more usual to say ‘I’ve got two tickets for the show tonight’. The past tense of learn in American English is learned. British English has the option of learned or learnt. The same rule applies to dreamed and dreamt, burned and burnt, leaned and leant. American English forward, toward, rightward. In American English, we write “Mr.”, “Mrs.”, “St.”, “Dr.” etc. In British it is usually “Mr”, “Mrs”, “St”, “Dr”, etc. 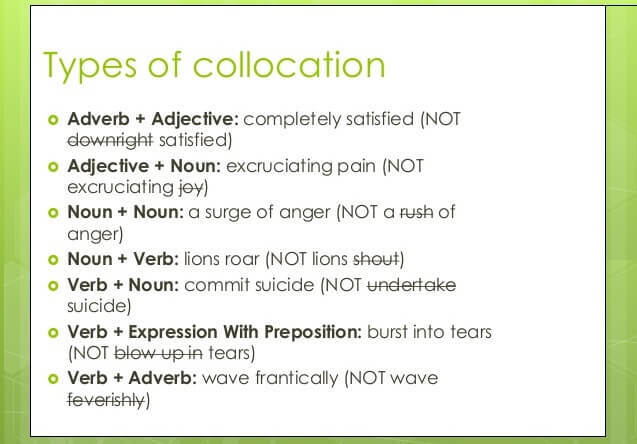 We use collective nouns to refer to a group of individuals. 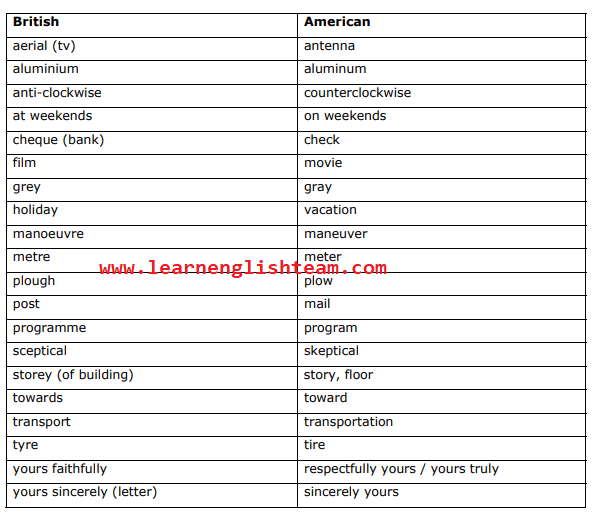 Download British English vs American English Vocabulary PDF that you can read anywhere.